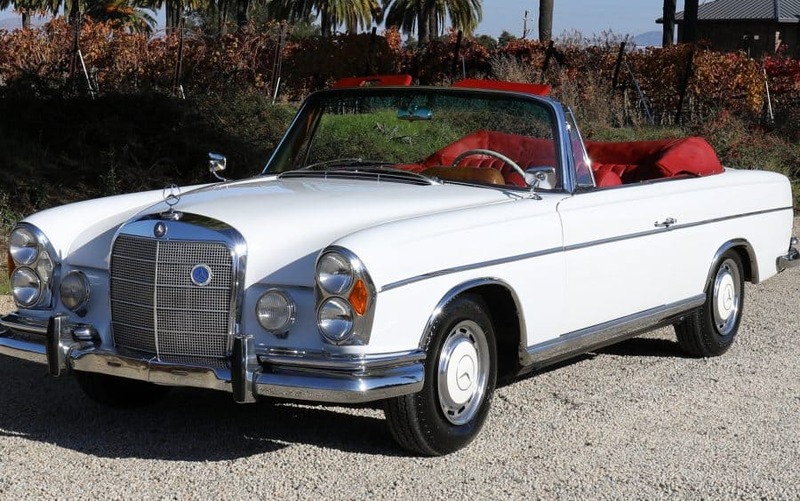 Rare 1963 Mercedes Benz 220se Cabriolet in beautiful condition: Low miles; original factory metal throughout; factory fenders; numbers-matching engine. Always garaged and well-cared for. Stored in a dry garage it’s entire life, rarely driven: 95,780 odometer reading seems accurate. Runs and drives well, but hasn’t seen much use in decades. All mechanical systems should be checked prior to daily driving. A wonderful example of one of the finest auto designs ever. We go to extents to document our cars in pictures and provide the most transparent listings on Ebay. Please study the pictures carefully rather than requesting descriptions. Please complete any inspections or ask any questions prior to bidding or committing to buy the car. Thanks for the interest!